BOSTON — After Villanova watched University of Maryland, Baltimore County, complete its unforgettable upset over top-seeded Virginia from a hotel room in Pittsburgh, Coach Jay Wright said nothing to his team. “You didn’t have to,” he said. 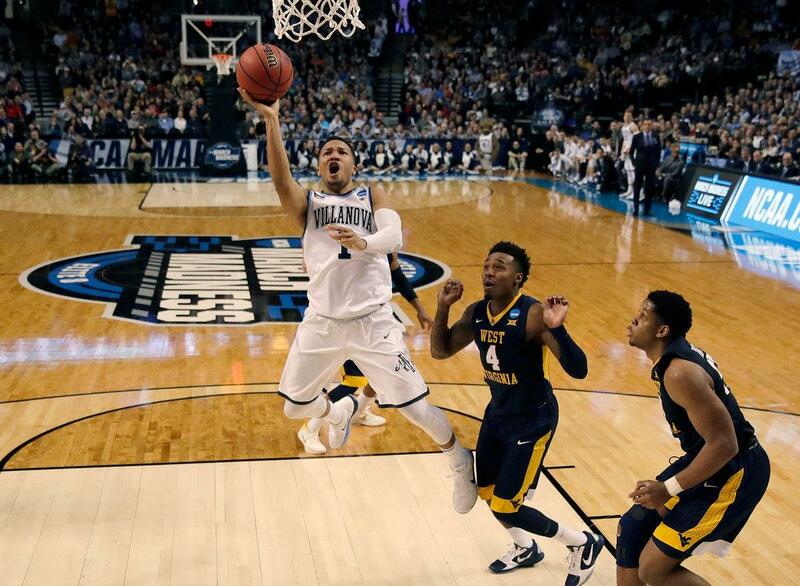 Jalen Brunson scored 27 points to lead top-seeded Villanova to the East Regional final. His players understood the significance. It was history — the first time a No. 16 seed had won a first-round game in the N.C.A.A. men’s basketball tournament. And it was a reminder: No one is unbeatable, not even the Wildcats, the No. 1 seed in the East region. After gliding through its first two games, Villanova met an opponent, No. 5 seed West Virginia, that can be tougher to kill than a cockroach. But a second-half surge propelled the Wildcats to the round of 8 with a 90-78 victory at TD Garden. There is a balletic quality to the Wildcats when their offense is running on all cylinders. The Mountaineers, on the other hand, came looking for a street fight. Within 10 minutes, there was blood on the court. There were flying elbows and jammed wrists. There was nearly a dust-up when, during a timeout, West Virginia’s Sagaba Konate wandered toward Villanova’s huddle, prompting Phil Booth to shove him away. For most of the game, Villanova’s offense could be summed up by a meeting at the rim between Konate and the Wildcats’ Mikal Bridges early in the second half. Bridges soared majestically for a dunk with one hand, but Konate stuffed him with two. He then jogged back up court, tongue wagging. The block, a highlight of the tournament, razzed the crowd and seemed to raise the hostility another notch. This is the Mountaineers’ style, after all. They revel in making opponents uncomfortable, and they recruit players who have been overlooked, the theory being that they are hungrier and more unconventional. True to form, West Virginia forced nine turnovers in the first half against a team that averages just 10.4 per game. But the Mountaineers’ aggressive approach was not entirely without consequence. They picked up 10 fouls in the first nine minutes of the second half, sending Villanova to the free-throw line early and often. West Virginia’s leading scorer, Daxter Miles Jr., collected three quick fouls and went to the bench for about 10 minutes. Without Miles, who scored 16 points, West Virginia was depleted on offense, and it shot just 30.8 percent in the second half. An 11-0 Villanova run midway through the half — capped by a putback slam by Omari Spellman — put the Wildcats ahead, 65-60, with nine minutes remaining, and they would not look back. West Virginia went 18-0 this season when it held its opponent to fewer than 70 points. But against the top-scoring team in the nation, that was a tall task. The Wildcats drained four 3-pointers in a row during a late stretch that kept West Virginia at bay. Perhaps they knew the Mountaineers’ record entering the game when they surrendered more than 80 points: 0-7. 0 Response to "Villanova Breaks Free of West Virginia in the Second Half to Win"